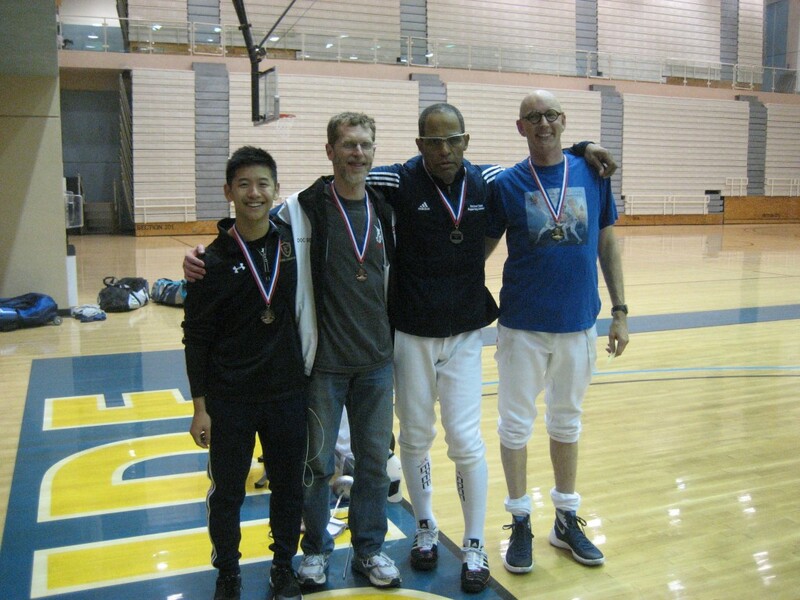 To kick off the second half of our 2015-2016 San Bernardino Division fencing season, we were at a new venue, UC Riverside and their Student Recreation Center with an awesome and huge gym….just perfect for a fencing tournament! And that was the comment of most of the fencers who were there and competed….just perfect! And centrally located for everyone! Un-counting fencers who competed in two events, we had 100 fencers who came! Epee had 44 fencers, which made it an A2 event, foil had 38 fencers making it a D1 event and saber had 25 fencers making it a D1 event. 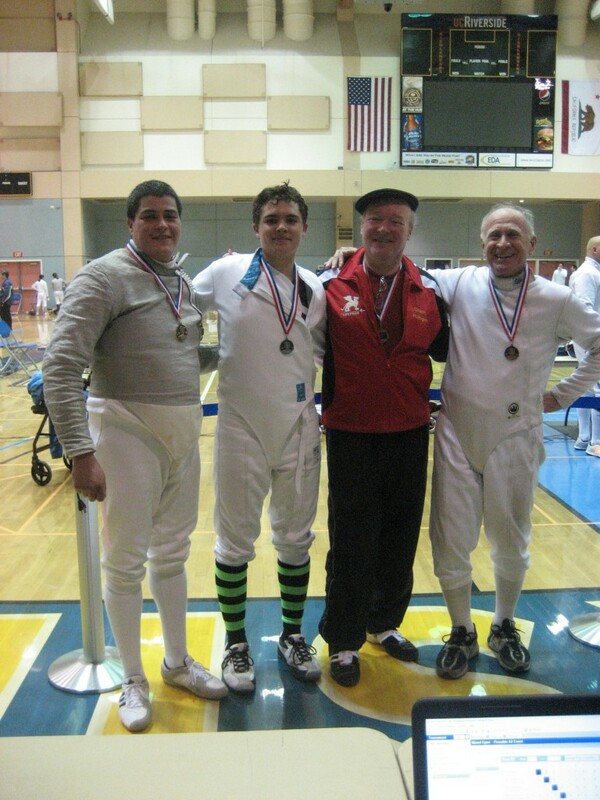 In foil, four fencers earned a rating: 1st place, Ryan Wixan, LAIFC, earned his D16, 2nd place Lucas Nichols, Presidio Fencing Club/UC Santa Barbara Fencing, earned his E16, 3rd place Carl Nicholson, Inland Fencing Academy/Fortune Fencing, earned his E16 and also tied for 3rd, Kyle Josafat, Coeur du Lion, earned his E16. 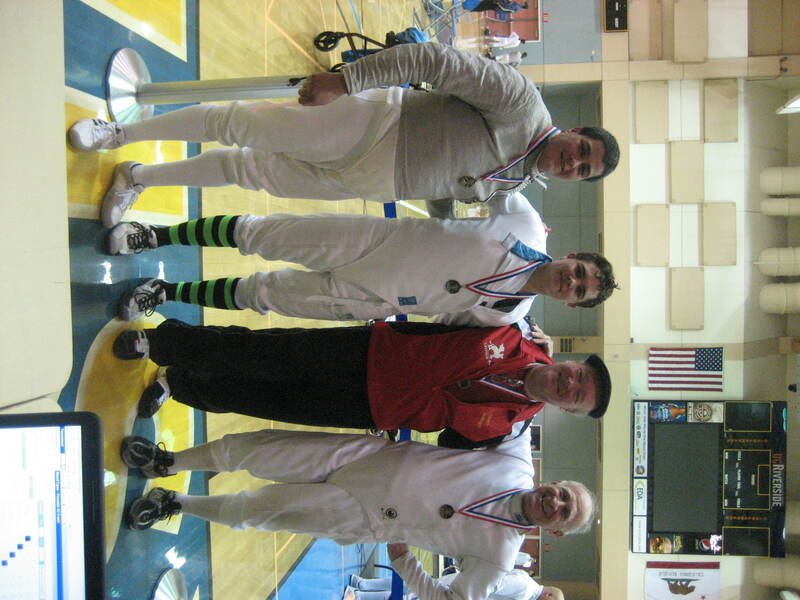 In epee, two fencers earned a rating: 1st place, Evan Ranes, unattached, earned his A16, 8th place Christopher Kwok, Swords Fencing Studio, earned his C16. 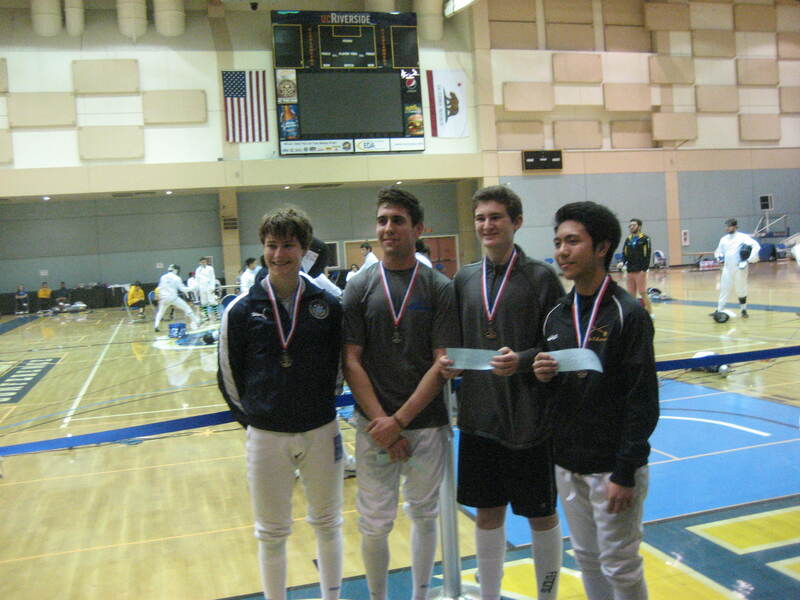 In saber, four fencers earned a rating: 1st place, Gabriel Lira, Arrowhead Fencing club, earned his D16, 2nd place, Arturo Perez-Hunt, Desert Fencing Academy, earned his E16, 3rd place, Eric Holmgren, Gryphon Fencing/Salle Couturier, earned his E16 and also tied for 3rd, Ken Calderone, Swashbucklers Fencing Club, earned his E16. Wonderful turnout, exciting fencing and a good time. We’ll definitely be returning to UC Riverside for future San Bernardino Division tournaments!